composting system on our deck here, but want to make sure that it doesn’t have flies, and that it works on a balcony. We have a staff of about 60, so we produce a fair amount of compost. What can you do to help set us up properly over here. Keep in mind, we are a non-profit. A collection bucket in the kitchen can hold the food waste until it is full. At that point, it can be placed in 5 – 6 gallon plastic pail [HDPE 2] and bokashi sprinkled on top. This will start the fermentation process and keep the flies and smells down as more material is added. A 5 – 6 gallon pail will fill up in about 7 – 10 days. Bokashi can be added to the kitchen collection bucket as well. 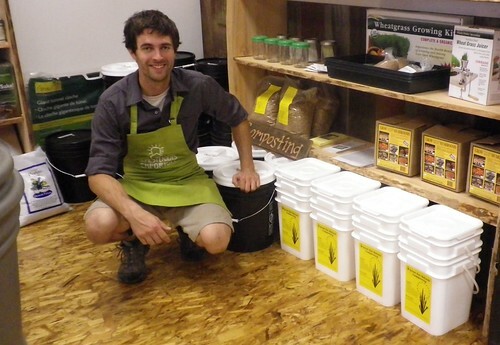 When the 5 gallon bucket is full, it needs to sit for about 10 – 14 days to finish fermenting. At that point it can be added to a composting system for finishing. The biggest challenge will be processing all the collected bokashi compost material. If you have the space, it can be done but it may work just as well to give some of the full buckets to your staff to process in their own compost bins at home. One of my customers, the AIBC office http://www.aibc.ca , does that now. This can be adapted to the size required. 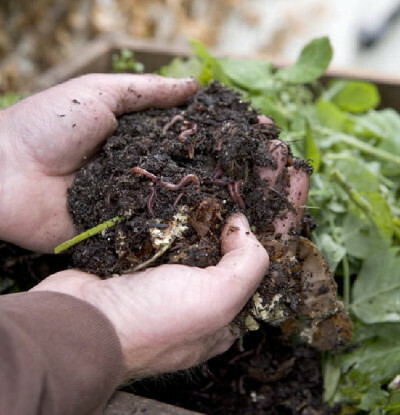 Worm composting for large facilities is possible as well. I have one more option in the process of being developed that would be ideal for apartment size balconies. When it is ready, I will give it to you to test out. 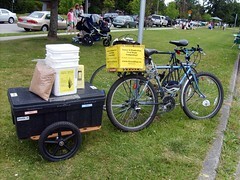 All these systems are compatible with bokashi as an adjunct to normal composting. In a small urban space, odour and fruit fly reduction are important. Bokashi can assist with that.